lovinglyredeemed – i am His beloved and He is mine. i am His beloved and He is mine. Here’s something you may not know about grace: Jesus never defined it. As far as we know, the Lord of grace who came from the throne of grace full of His Father’s grace, and from whom we have received grace upon grace, never uttered the word grace . But He sure showed it. Actions speak louder than words. Jesus did not come to preach grace but to be grace and He did this by loving unconditionally and forgiving indiscriminately. Jesus hung out with crooks and conmen and hookers and tax-collectors. He ate with sinners and Pharisees and reached out to filthy foreigners. He told stories of radical grace, defended the guilty, and forgave the unrepentant. And in the greatest demonstration of love the world has ever seen, He gave up His life so that through Him we might truly live. 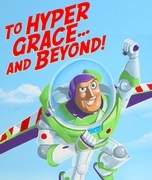 If grace is Jesus, what is hyper-grace? As I sit here at the end of the week, in the wee hours of the morning (when I should be sleeping or studying or at least looking at a textbook), I can’t help but want to dump the contents of my heart onto this blog. I really do feel like my heart could explode. So, for that reason, I am getting it all out on this blog post. Here it is, an explosion of my heart, that Jesus caused, yet again. Man, I am so antsy to jump right to the exciting part (what happened tonight), but I know that I haven’t blogged for a while, so I will catch you up on what Jesus has been up to here in Springfield since I last spoke with you. My goodness, He really has taken me on quite the adventure here. And the best part is, it is only the beginning. I have been praying since I got here that Jesus would give me opportunities to love on people. That’s it. I just wanted Him to put people directly in my path to love on. To say He has done exactly that would be only a tiny fraction of the crazy and wonderful adventure He has been taking me on. One of the greatest things He has done since I’ve been here, is connect me with a real, pulsing, and moving Body. The neatest part about it, is how He brought me to it. One of my closest homeless friends, invited me to this joint. When he told me he found a church that he felt comfortable in, and one in which he actually felt loved, I knew it was my kinda place. So I started going to this church. It’s called The Venues (yanno, ’cause the church is not a building, it’s everywhere). I’ve been noticing recently that Jesus is so amusingly wonderful at times. Before I started going to The Venues, I had been spending a lot of time in Galatians simply enjoying the revelation He gave me of what it means to live freely and fully in His grace and love. The first Sunday I came to The Venues with my homeless friend, we sat in the front row and listened to Jesus teach us about the beautiful freedom we have in the never-ceasing grace He lavishes on us. My friend, who I am just going to arbitrarily refer to as Tom from here on out, and I have been going to this grace-loving, truth-seeking, radically-functioning church for about a month now. It’s funny actually. Right here in the middle of the “Bible-belt,” I was pretty pessimistic about actually finding a church that didn’t preach Law. I was nearly sure there wasn’t a place that existed that actually taught grace, and one that didn’t teach religion. Well Jesus sure did give me the most wonderful surprise ever. So, why all this talk about this new church that I found (well not me, Jesus brought me to it)? Because, Tom, whom I mentioned earlier, is one of many that have felt loved there. One of many that has had a warm place to sleep at night. One of many that has had food in his belly, and people that know his name and greet him with a loving embrace. Springfield, MO is home to so many churches, it nearly makes me sick. What? Why would that make me sick you might ask? There are so many churches here. Sure that is great, I guess. But how many homeless, hungry, broken, and hurt people do the churches keep their doors shut to? How many of our brothers and sisters sleeping right outside their doors and sleeping in the woods just beyond their buildings aren’t even aware of the love of the Father? All they see, is a bunch of fancy buildings, full parking-lots with nice cars, and nice-looking people that go into the building and then exit it. They see these people who claim to love a god who is good, and who is loving, and they claim it their objective to imitate this god, yet these nice-looking church people don’t even see them. They don’t see these sons and daughters of God that have been directly placed in their paths, because they are too busy planning banquets, church programs, and events. I could go on with my not-so-patient and not-so-loving attitude I have towards the church, but I know that it will not do anyone any good. I really don’t mean to bash the church. I know the church is filled with people who really do desire to love God and love others. I think the problem is, they just don’t really know how to. Religion has complicated that. With as many churches are there are in this city, and with the number of people without places to lie their heads, the solution should be as clear as day. But legalism has messed all that up. When grace comes in, destroys all the rules and everything that is expected, normal, safe, easy, and predictable something liberating happens. JESUS runs the place. And let me tell you, it is absolutely breathtaking to watch. Want to know what it looks like? It looks like a church filled with people hungry for grace, for mercy, for love, for Him. It looks like a church willing to set-aside the need to be perfect. It looks like a church that can play non-churchy music like the Beatles and Louie Armstrong. It looks like a church that is ready to be honest about the unspeakable. It looks like a church that has a grace-filled small group for our brothers and sisters who are lesbian, gay, bisexual, or transgendered where they can be honest, be who they are, and not fear someone condemning them or shoving Law down their throats. And it looks like a church that opens its doors to the homeless. This is the really exciting part guys. I’m not sure it gets much better. This week marks the third week in a row that my church has been sheltering homeless youth, ages 13-21, overnight. The only church in Springfield that is doing this. I remember the day I found out. Tom and I were sitting in the front row one Sunday when one of our friends got up and announced that the church was going to start an overnight shelter in the basement. I think that was the first time I had ever peed myself in church. Among many reasons for our excitement, the most evident one was the fact that Tom had just become homeless again. I say “again,” because prior to that Sunday he was living temporarily with his sister. That was until they were evicted, and he ended back up on the streets again. Since then, Tom and many others have been sleeping warm and safe in the basement of the grace-filled, Jesus-led church. The night that I got to volunteer for the overnight shelter for the first time was a night I will never forget. There are certain policies that overnight shelters have to follow. 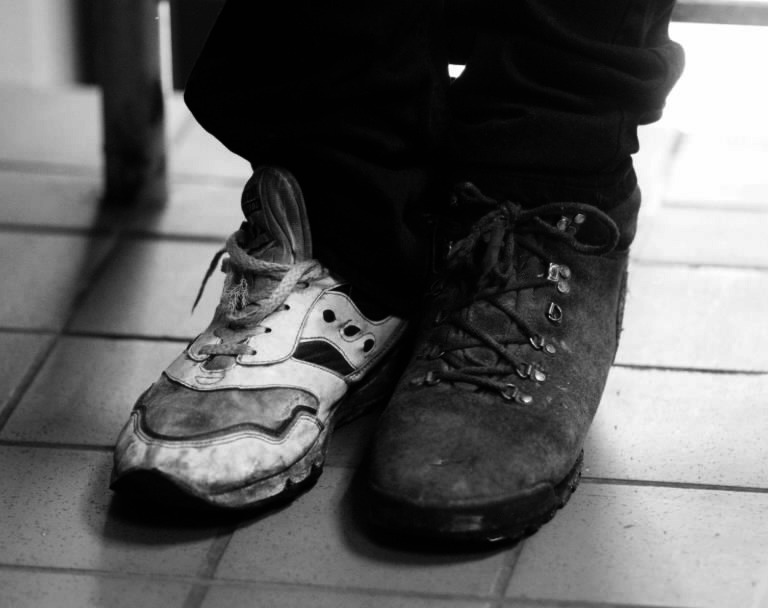 One being, there has to be two persons chaperoning or facilitating the shelter as the homeless sleep. After collecting knives, backpacks, and what other little belongings they had from living on the streets, I helped them make their beds. Every person had a cot to sleep on and a sleeping bag. I even handed out a little pre-bedtime snack to them, just ’cause. There were many that first night that I knew, and many that I did not. It was exciting. I got to meet an 18 year old girl who had just come from a shelter that she got kicked out of. I couldn’t understand why, she was probably the most kind and gentle 18 year old girl I had ever met. I saw her smile before she went to sleep. There were others. They quickly became my friends. We laughed together. They were my brothers, and my sisters. Before they all went to sleep, I had a beautiful conversation with Tom. We talked about grace. Tom and I had been sitting in church together for over a month listening to message after message about this new concept of a grace-filled gospel, that is actually good news. Tom asked me questions. He pulled out his old, black, leather, KJV bible and read to me. Then I read to him. Then we listened for Jesus. Then I smiled, and he smiled. At just how darn wonderful Jesus really is. Tom knew it. He finally knew it, because he could see it. He could feel it. The Father’s love was everywhere we looked. It wasn’t too hard to keep myself awake that night. I was too darn excited to be anywhere near tired. So I journaled some, listened to some Bethel, talked with Jesus for a while. But mostly, I just kept starring at one of the most beautiful sights I had ever seen. I saw rows of cots filled with my friends. My brothers and sisters whom I loved. They were all there. They were safe. They were warm. All in one place. I felt like a mother for the first time. Sometimes I forget that it is His heart that beats in me, and when I feel strange things, such as motherly feelings towards my homeless friends, I am reminded that they are His children and it is He who desires to nurture and to love on them. Geez, no wonder they are so darn easy for me to fall in love with. It is hard for me to even organize my recollection of this beautiful adventure He has been taking me on, because it really is too exciting to make sense of it. Sometimes it’s just little snipets here and there of His love in action. One day after spending some time with Tom, a friend and I did some homeless grocery shopping. We got Tom some random food items that we knew he liked, and some others we thought he would too. Apparently, Tom doesn’t like Vienna sausages. So on the way back from visiting Tom, my friend and I ran across a couple of homeless men at a busy intersection. With a green light ahead of us, I held out a few cans of Vienna sausages and handed them to my brothers. And you better believe, that not a single car behind us honked. The little joys like handing out Vienna sausages in the middle of traffic and listening to stories from my brothers and sisters downtown at the laundry-mat, are gems that I get to pick up along the way and carry in my pocket. This journey has been more than I could begin to put into words. Tonight, when I showed up at the shelter I just couldn’t stop smiling. I really think it is the happiest place on earth. Tom was there along with other regulars. After celebrating Tom’s first day of his new job – oh yeah did I mention Jesus got Tom a job? Oh yeah, well He did! Anyways, after celebrating with Tom, I took my friends outside for a smoke before bed. We stood outside in the cold, while they passed around cigarettes, and laughed. Tom taught me how to long-board. It was pathetically funny. But hey, it made them laugh. One of my new friends actually asked me if I were homeless. That may have been one of the greatest compliments I have ever received. After talking with one of my new friends that I just met, whom I am just going to call Jack (man I’m real creative with names), I learned that Jack was only staying at the shelter for one night. Tomorrow morning he is leaving for Colorado. By foot. Well, and hopefully some kind truck-drivers. Jack told me he didn’t have much supplies to make that kind of a trip. He had $2.70 to buy what food he could tomorrow before he left town. My heart instantly ached to provide him with all that I could. But I knew exactly what he needed. I took him over to my car and showed him what God wanted to give him. I wanted to word that carefully so you know I am not telling you what happened next to make myself seem pious, generous, special, or worthy. Guys, this is all Jesus right here. I had nothing to do with this. I usually keep about 20 or so Hot-Hands (pocket hand-warmers) in the door of my car. So I handed him those. Then, I gave him something I had been wanting to give him for several months – yes, you read that correctly. Several months ago, I made a little joyful bundle for someone. I had no idea who it was supposed to be for, but I knew Jesus would show me. I had been waiting the whole time I have been in Springfield to give it to the person Jesus showed me. And finally tonight, He showed me who it was for all along – and that was Jack. I bundled up a thick, wool pair of socks, a hat, some thick waterproof gloves, hot-hands, a bible, and a note. I don’t remember exactly what Jesus had me write on that note, but I do remember it was full of the truth of who Jack is. A son of the Living God, who is so loved. No matter if he doesn’t have a place to lay his head or a family to call home to. Jack is a prince, an heir to the inheritance of King Jesus. I don’t know if he knew it before tonight, but he knows now. Jack was excited about the bible. He told me that his had just gotten tore up by some friends who used the pages to roll up joints. He shared with me the parts that he was familiar with. Proverbs and Pslams. And then he said Galatians, and Colossians. And that made my heart pretty happy. So we talked for a little while about grace (I’m seeing a reoccurring theme here, aren’t you?) and I encouraged him to read Philippians and II Timothy when he was feeling cold and weak. Jack gave me a warm hug and a big smile and told me thank you. I told him that Jesus gave that to him tonight. That Jesus had it for him months ago, and had been just waiting for the time to come. With Jack on my left and Tom on my right, and the rest of my brothers and sisters huddled around, I asked them if I could pray over them. They said I could. I proclaimed the Father’s love over each of His worthy, and beautiful sons and daughters. I hugged them, told them goodnight, and sent them to bed. And as I walked away, I felt my heart fill. It reaches a new capacity every time I am with them. When I say that Jesus made me fall in love with these people, I mean it. I am. They have my heart. And I want everyone to get to experience that kind of love. I want all of my brothers and sisters to know how wonderful they are. I want my homeless brothers and sisters to see how much love and joy they bring to my heart, and more – how much love and joy they bring to their Father’s heart. They have no idea. They have no idea how crazy in love with them He really is. It is my heart’s greatest desire to make them know. I walk a lot. I walk all around the city. I enjoy it. I like seeing people’s faces. Whether I’m downtown, or walking amongst a mass of people on campus, I can’t help but look directly at each face that passes me. Does she know she is worthy and loved? Does he know that he is a beloved son of the Most High? Do they know that there is a God who created them, just to love on them? And He gives me peace in my heart by assuring me that He desires to tell them much more than I do. He desires to make His love known to Tom and to Jack much more than I do. He desires to keep them warm at night, spend time laughing with them, enjoying them, and simply loving on them, so much more than I do. Guys, Jesus is in love with His children. He really is. I see it. I feel it. He will pursue you when you are homeless. When you run away. When you’re broken, when you’re too weak to stand on your own two feet, when you have fallen out of love with Him, when you turn your back, even when you stop praying, even when you stop caring. He wants to make His love known to us. To love, and to be loved in return. Isn’t that beautiful, freeing truth? If you really want to know what that looks like, I would recommend making a homeless person smile. Now that, my brothers and sisters, is pure beauty in the eyes of the Father. That is pure, unexplainable joy that flows right from the heart of Jesus. It is a beautiful journey indeed. Peace and joy brothers and sisters. His peace and joy, and now, our peace and joy. This week, I had somewhat of a revelation. A revelation of more of who God is and what Jesus came to do. A revelation of what the Gospel really means. For the past few years Jesus has really been working on my heart and shaping it to look more like His. These past couple of weeks, I feel He has been working overtime. I was raised in the typical small, conservative Baptist church. Which was great growing up. I felt loved, I felt safe, I felt sheltered, I felt like everyone else. I believed everything the church taught and didn’t think to challenge it. Until I was about 14 years old, my only understanding of God was what I was taught. It wasn’t until I went through some really dark stuff that I began to see that church and religion doesn’t equal a perfect and dandy life for everyone that sits in the pew every Sunday. I didn’t really have a desire to have an intimate relationship with Jesus until I felt I actually needed Him. I didn’t even know I needed Him. And to be honest, I don’t think I would have ever really wanted Him if I had the perfect “American-Christian dream life” growing up. When I realized that Jesus was more than what I was taught, and the message the church was giving was antithetical to the life of Jesus, I was pretty angry with the church. I learned that Jesus wanted everything to do with the dysfunctional alcoholic family. He wanted everything to do with a poor teenager who had big dreams to love on people. He wasn’t mad at my family for not being perfect anymore. He wasn’t and still isn’t mad at anyone. Ya see, I’ve had a revelation. And God isn’t who most of us were taught He is. Now I’m not pretending to know everything about who He is, but He does reveal quite a bit to us of His character through the life of Jesus. And somehow, the church has missed that. Somehow, Christianity has gotten away from that. So the rest of this blog, is full of the Truth that has been causing my heart to nearly burst because I want to scream it from a mountain top to the entire world. This all started when I realized that Jesus is really in the business of loving people. All people. And I didn’t really understand until I fell in love with the people He loved, that love isn’t just a declaration, it is an action. So whether people are black, white, yellow, brown, green, purple, tall, short, medium, tatted up, not tatted up, wealthy, completely poor, straight, bisexual, homosexual, an alcoholic father or a “perfect” pastor father – every single person that breathes life is worthy of the love of God. There are NO restrictions. NONE. But really. Do you love them? Remember, love isn’t just a declaration. It is an action. Remember Jesus’s life? Jesus said we would be known by our love. I am afraid it isn’t that way anymore. If you ask someone who is not a follower of Jesus what they think of Christians, do you think the first thing they say is, “Oh those people are so loving!”? No. Most of the time their response is, “Yeah, they are anti-gay, judgmental, and they think they are perfect.” Or something along those lines. If we are taking on the name of Jesus and nothing else, does that really make us His followers? What was Jesus living out that we aren’t? What was so different about the way He lived and loved? Now I am going to say something really bold. Really crazy that might make some of you unfriend me, or give me a talkin’ to later. Or maybe even pray for me because I have gone off the deep end. Here it is, the Law is done. DONE. D-O-N-E. I do not know if you really understand what those four letters mean, but if you are hearing it for the first time, then this may shake your perfect Christian view of the world. Jesus said He came to do away with the Law. Forever. Romans 7:6: But now, by dying to what once bound us, we have been released from the law so that we serve in the new way of the Spirit, and not in the old way of the written code. Hebrews 8:13: By calling this covenant “new,” he has made the first one obsolete; and what is obsolete and outdated will soon disappear. Romans 10:4: For Christ is the end of the law for righteousness to everyone who believes. I think that is pretty clear. God knew we couldn’t make ourselves righteous. He knew we would never be able to follow every 613 commands of the Mosaic Law. So He did away with it. Jesus demonstrated grace during His life on earth. I am sitting here smiling just at the thought of how lovely He was (still is), and how it would have been to sit gathered at a table with the prostitutes, the drunkards, the lepers, the sinners, and Jesus. The God-Man. Because they are lovely. They don’t pretend to be perfect or pretend to be righteous, or pretend to have it all together and to be perfect law-abiding religious people. See those people, are the people Jesus wanted nothing to do with. He couldn’t stand the religious elite. The pharisees. He didn’t care how many laws they followed or how much they tithed or how loudly and eloquently they prayed in the streets. He loved the people who hungered and thirst for love. The people who had pain behind their eyes and the ones who wore their hurt on their sleeve for everyone to see. Jesus was an extremist for grace and love during a time of extreme oppression from the conservative religious. And then He left. He left this earth, gave us His Spirit to guide us, and told us to continue. To continue what He started. Everyone was welcomed into the Kingdom of God by Jesus, so why don’t we welcome everyone? Aside from those who reject Jesus, He opened a way for everyone. Literally. No restraints. Call me heretical, but how dare anyone say who is and isn’t welcomed into the Kingdom of God. Yes. This means gay people. Yes, this means the poor and the homeless and the lepers and the drug-addicts and everyone else in between. Yes, the people whom Jesus loved, and still loves, so much. I feel like I am rambling here, but this is so serious. This is monumental. Please, do not miss this brothers and sisters. I had a conversation with a dear brother of mine the other night about this. I was wanting another perspective on the Law vs. the new covenant of grace (Jesus’s life, death, and resurrection). “They’re directly opposed and contrary to each other! Paul writes all about it in Galatians most specifically. The Law is about what we can do. Grace is about what Christ has done. GRACE is the ESSENCE of who God is and the central message of the Gospel. Christ came to be and accomplish what we couldn’t do! Now we naturally and effortlessly fulfill the spirit of law which is Love! Not by trying to do more but by believing and resting in the truths of the gospel. Most churches today, i.e., 90% or more preach the Gospel mixed with some law and the requirement of our own efforts, which isn’t good news at all. Grace + Law still equals Law. Woah. So does that mean that we don’t have to follow the Law to be right with God or reserve a place in heaven? Yep. To try to add to the Gospel by good works or following rules or making yourself a “better man” is to undue what Christ did on the cross over 2,000 years ago. We like having things we can check off our list, so that in the end we obtained something we earned. Why is it so hard to accept the grace of Jesus? Because it requires nothing on our end. Nothing. There is nothing we could do in our life to earn it. Being a straight-white-conservative-republican-leads-Wednesday-night-bible-studies-perfect- husband/dad is not going to get you into heaven any more than being a gay-black-liberal-hangs-out-with-drunk-people-college kid is. Jesus says, “come.” Both are welcome. Now if I haven’t already offended you too much, I would like to continue with a pressing concern of mine that has been weighing heavily on my heart lately. I don’t even understand why this is a question. But, again, many who are raised in the church are fed some form of Law + grace (as I was growing up in the church), so it is a common belief among many. The answer is YES. Do they need to repent from their sin and become heterosexual? No. If you have cut your hair, ever in your life, do you need to repent from your sin? Now at this point, I am sure many of you are throwing your hands up in the air or making a mental note to send me a long and thoughtful message about how completely heretical and absurd I am. You see, as I mentioned earlier, the Law is DONE. That means all of it. All 613 Mosaic commands. Why can one cut their hair, but not love someone they wish to love? Friends, we cannot single out one command and ignore the rest. There are none more important than the other. And guess what? It doesn’t even matter anyways because Jesus did away with the Law when He hung on that cross. Man. I feel like I can breathe. For the longest time, I really struggled with following the Christianity I was taught. It was so opposite of the Jesus I have fallen in love with. And I couldn’t make sense of it. Now I know what it is to be free. Free from the Law. Free from guilt, from shame, from self-righteousness or the need to be perfect. I can be messy. 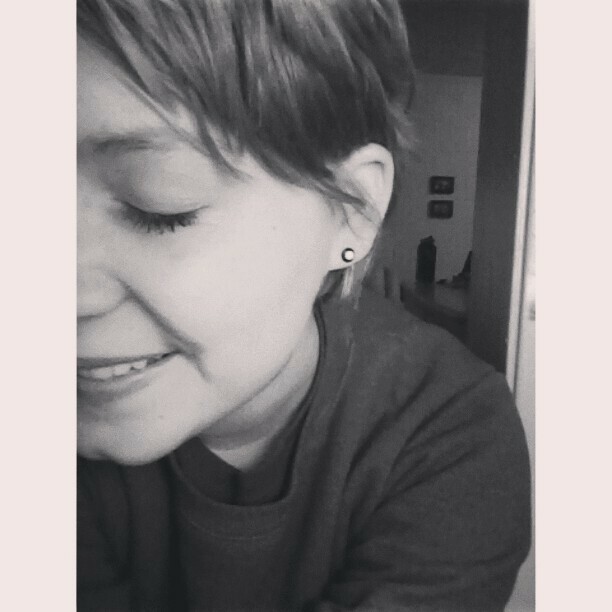 I can shower twice a month and cut all my hair off and not hide my tattoos at church because JESUS DOESN’T CARE. He wants us. All of us. And anyone who tries to tell ANY person that they are not welcome absolutely breaks my heart and His. His love is real. His love is good. His love is free. His love says stop trying, stop pretending, stop fixing. Nope. He wants you as you are. And please, do not let anyone try to tell you differently. Grace abounds. Live in it freely. Dance in it. Breathe it in. Share it. He has given an endless supply. In honor of my first blog and the closing of another year, I decided I would begin with practically regurgitating just about every thought, fear, dream, hope, disappointment, hurt, laugh, and joy that has come to pass within the last semester. To be completely honest, this past semester has been one of the most difficult seasons of my life. For those of you who are absolutely dying to know why, (please note my good humored cynicism) proceed to read on. I am mostly writing all of this to get it all out of my volatile mind, to sort it out, to try to analyze and make sense of it, to recount the joy and goodness that has come out of all of it, and hopefully to extend some encouragement to a passerby. I am going to assume those of you reading this do not know me. For those of you reading who do know me, and know me well, then some of this will be familiar to you, and some of it very unfamiliar. As there are some crazy things that Jesus has done in me this semester that I have not yet shared with many. Not because I wanted to hide it or keep it to myself, but because I have spent this entire semester trying to figure out for myself what in the world Jesus was up to. Over the summer, I got to love on homeless and runaway youth. To this very day I can say I have never been more happy in my entire life than when they were with me and I with them. I didn’t understand it. I could not make sense of the newfound joy that was causing my heart to explode. One specific girl, we’ll call her Grace for now, changed everything for me when she shared with me her story. What was most impactful was her response to Christians. She told me that she did not like Christians. That they had done so much wrong to her and those she loved. When I first met Grace, she wasn’t even sure that she believed in God or Jesus. After spending more time with her and loving on her with the love of the Father, best that I knew how, and letting Him speak words of love and truth to her through me, Grace changed. Sounds pretty miraculous, huh? Jesus is that kind of a person. You can imagine my excitement. And yes, my heart exploded again. She told me that she was going to give Jesus a chance. That she didn’t think the same of all Christians as she used to. Holding her hand in prayer and worship of a Father who was pursuing her right before my own eyes was the most incredible and beautiful thing I have ever witnessed. I am happy to say that I am still in contact with her. When I remind her of God’s faithfulness and His deep, crazy love for her, not only does she acknowledge it, but she agrees. It wrecked my life, because I knew I couldn’t stop. I couldn’t stop loving these kids. I couldn’t fall in love with the homeless, see the Father’s pursuit of them, and then just go back to my normal life. I tried to escape it at first. I tried to rationalize. “Well, God has called me to medical missions and I am in college to be a doctor. I am going to medical school. Maybe homeless ministry is just something God wants me to do on the side.” WHAT. Yeah, exactly. Like loving the people right in front of me would have to take a seat while I pursued my other dreams. I had a very wise brother once tell me that there is a lot of freedom in God’s will. So often we freak out and think we have to pinpoint it exactly. That somehow if we miss it, we mess up God’s entire plan for humanity. Here is the truth: God gives us so much freedom within His will. Up to that point in my life I had a very warped concept of the will of God. I still cannot get my finite mind around His infinite ways (and never plan to), but regardless, I feel most of this season has been a product of coming to a better understanding of the freedom in the Father’s will. For the first time in my life, I felt the chance to really live out the Gospel. To really live out the teachings of Jesus, the ministry and the life of Jesus. To really be His hands, His feet, His embrace. I knew I could still choose to pursue medical school and live overseas for the rest of my life and honor God. It has always been my heart’s desire to do that, to honor Him with my life wherever He placed me. I finally realized it wasn’t about choosing this career path over that one, or planning out logistically which one would be more feasible. It was about seeing an opportunity to love someone, and just going for it. At this point in my life I think I am finally understanding that to really follow Jesus requires us to step out into the unknown, the uncomfortable. It doesn’t make any sense at all. And that was my problem all along. I was trying to make sense of God who is outside of my understanding. I was trying to make sense of something crazy that He was calling me to. But I didn’t need to make sense of it. After many nights crying out in frustration to God because of my stubbornness to simply “forget everything else and do just that,” He began to subtly and gently guide me in the way of the unknown. So I began the journey of following. And learning to trust in His leading. I began the transition of leaving behind all that was familiar and comfortable to me. To leave behind my small private Christian college, my academic identity and 4.0 pre-med dream, and everything else that was insulating me from the darkness and hurt of a city that has been crying out for the love of a Father that they do not yet know. I knew I couldn’t love the people God was telling me to love when I wasn’t with them. He was calling me to be with them. As He was with us. Love becomes much more real when you make it personal. When you choose to invest in a person’s life. So I packed everything up and hit the road. I moved into an apartment in downtown Springfield where I would be able to be as close as I could to my kids. At first God kept closing every door. You can imagine my frustration with Him. Here He was telling me to leave my comfortable life behind, move to the city and love on homeless people. Yet it seemed He was calling me to something that was impossible. You would have thought I was a felon because of how difficult it was for me to get into MSU (a university in Springfield). When I finally got accepted, I wasn’t able to sign up for classes. I couldn’t get registered for any classes because I was going to be two and a half weeks late to the semester. Ya see, I was going to be in South Sudan from the end of December to nearly the end of January (more about South Sudan at the end of this blog). There was a period of time where I thought I wasn’t going to go to college at all or even afford a place to live. I simply couldn’t get in. I was really angry with God about this because I was not ready to give up my dream of graduating college. I was okay with Him calling me to Springfield, to work with the homeless, and even giving up the pursuit of medical school, if I was going to continue my college education, but this time in social work. When I came to the realization that He might have been requiring me to cross “college education” off of my list, I was pretty upset to say the least. For the first time in my life, I realized what He meant when He said we must be willing to lose everything to follow. I was about to lose it all. Or so I thought. And I can honestly say, after weeks of crying and praying for a content heart, I was okay with it. 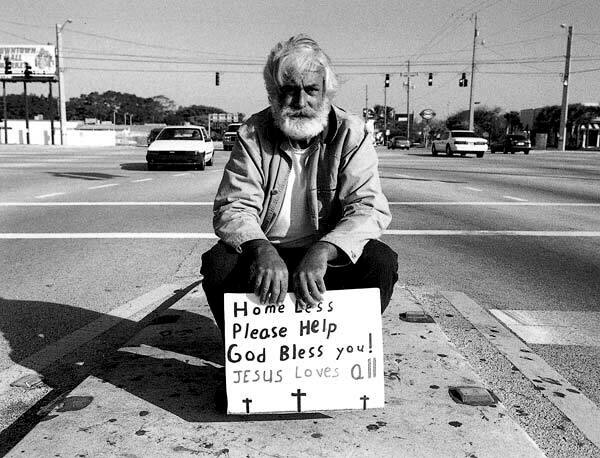 If God was requiring me to stop going to college and become homeless myself to love the homeless, then I was okay with it. I was ready to start living out the Gospel for the first time. I was ready to radically serve a God who is radically pursuing His children. I was ready to start living out a Christianity that looked like Jesus. Two days ago I got a phone call. I had been praying that God would make something possible. I didn’t care what it was. I just wanted Him to put me where He wanted me, wherever that was. My team leader for my South Sudan team called me and told me that the trip was being called off. If you haven’t heard the news lately, which chances are you haven’t because it’s Africa, South Sudan is on the verge of a civil war. If you want all of the details of the situation I would be happy to sit down with you and tell you, but for the average American who doesn’t have the time to hear about the typical problems of another African rebel war (please note my extreme cynicism, and I swear I am not a complete jerk) I will spare you and just tell you that the situation is so real that over 500 people have died in one week. It is spreading quickly over the country I have grown to love and it has become too dangerous for myself and my team to go and minister to the people who desperately need the love of the Father. After I got off the phone with my team leader I cried. I cried and screamed for a long time. I had literally just packed my backpack and taken my last oral typhoid vaccine pill before I got the call. I was hurt. Hurt that after six years of anxiously waiting for God to send me to Africa, He closed the door. My team and I had been meeting and preparing to bring the Gospel of Jesus to a tribal people group since August. Nine days until we landed on that red soil. I was absolutely heartbroken. The people I had fallen in love with were, and still are, hurting. And I cannot bring them Jesus during a time they need Him most. But I know He is moving there. And I believe His Light and Power will be displayed in the midst of such dark suffering and hate. I am praying towards that end and He has given me peace in that. If you are still with me at this point, then bless you. You have made it this far with my ranting, complaining, terrible grammar, and over usage of commas. Please accept my virtual fist-bump. Right now I am sitting at my parent’s house trying to figure out what my next step is. Since I’m not going to Africa now, I have no problem starting college on time. It is pretty evident to me that that was the door I was praying God would open, that was what He was making possible. I am soon to be on my way to Springfield again. But for good this time. And I am full of excitement down to my very core. I cannot begin to imagine what Jesus has for me there but it is going to be crazy and good. He has definitely thrown me through the wringer this semester, but I am grateful. I know now He was testing me, yet again. Testing me to see if I was really in it. Was I really willing to lose it all? I guess I should ask myself again. Am I willing to lose it all? Yeah. I am. Because if losing it all means I find Him, and I am where He wants me, then I don’t want anything to do with having it all. Never in my wildest dreams would I have thought He would be calling me to minister to the least of these in downtown Springfield, pursuing homeless case management, and willing to let go of everything I have ever known. Brothers and sisters I want to end with encouragement to you. When Jesus says He wants everything of you. Do not be scared. Do not think it will ruin your life. Okay wait. Let me re-word that. It will ruin your life. But, in the most incredible way possible. But I promise you, as my life, and the most difficult, heart-wrenching, and painful season yet to testify – He always has something good. After all, He thought us into existence. He thought us into existence. I think of this often. Because everything He has for us rests in that truth. He thought us into existence so that He could know us. So that He could love us. And in return, we would know Him, and we would fall in love with Him. At the end of a painful season, or even if you are in the midst of it, please remember that He created us to love us. Why wouldn’t He have good things for us? Good things do not always come without pain. More often than not, they do. But that pain seasons us. It allows us to come out of it rejoicing and believing in our hearts that it was not without reason. Tonight I am humbled by the power and love of a God who is intimately acquainted with each of us. He knows us. He really knows us. Emmanuel, God with us. He knows the name of every South Sudanese person hurting at this hour. He knows the name and the story of every man, woman, and child on the cold streets of downtown Springfield. He knows us and it is the purpose of our existence to know Him. At the end of the day I make sure my heart knows this one truth. God is good. So simple, but so big. He is good no matter the outcome of our lives or what path we choose to journey on. His love for us is not contingent upon our ability to accept it and believe in it. His promises stand from the beginning of time and into eternity.